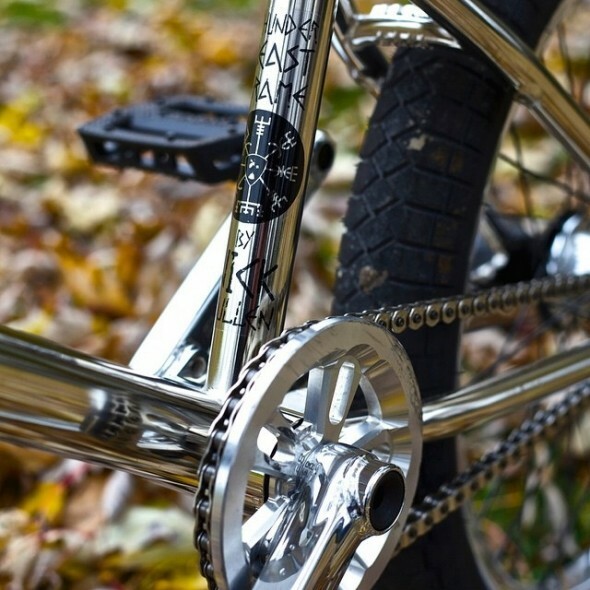 Subrosa Magnum bash guard sprockets feature all in one protection for your chain! Subrosa Magnum bash guard sprockets feature all in one protection for your chain in a single super strong machined sprocket. Available in 25t and 28t sizes. Click HERE to view complete spec info, available colors and sizes, more photos, and to purchase your own Subrosa Magnum sprocket. The Subrosa Magnum Bash Guard sprocket is an extra thick, full guard, bash sprocket. Features a split 5-spoke design with fully integrated sprocket guard to protect the teeth and chain from damage caused by certain grinds. 100% CNC Multilevel Design machined from 8mm thick, 7075 aluminum for maximum strength. Offset 1/8″ teeth for improved chain alignment and additional spacing to fit wide chains such as the Shadow Interlock V2 half link chain. Compatible with 1/8″ chains only. 15/16” bore. 19mm and 22mm adaptors included. « Subrosa Street Rails available now with new options! A great way to bring the action to you!